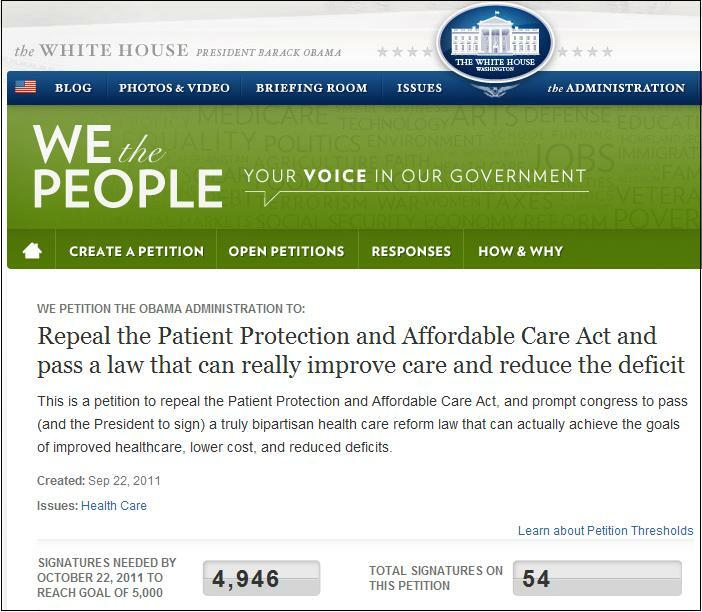 A petition to repeal Obamacare was posted on the White House website last week. Essentially, the new White House petition website allows anyone to create a petition. Once it reaches 150 signers it becomes public. Once it reaches 5,000 the administration promises an official response. ** Supposedly, this petition will be officially listed once it gets 150 votes, and as you can see above, if it gets to 5,000 by October 22 then someone from the White House will issue some sort of response. But the real opportunity here is to show the White House just how popular a full repeal is.